"The Developer James Schouw is known for creating developments which offer form, art, and design with inspiration from Gothic European structures"
The building exterior features large facades of marble, double height windows, opulent mouldings, classical style multi-pane windows, and a dramatic black-and-white floral mosaic entrance floor out front of the lobby. From the lobby to the suites there is beautiful compilation of curves, modernized gothic decorations, tall doorways and mouldings to give a grandiose feeling throughout. 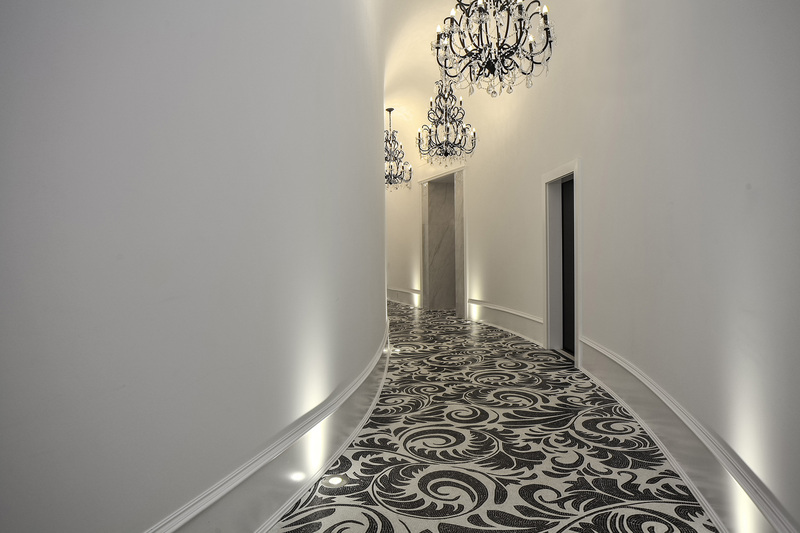 Also the use of curves and intricate design, allows each suite in the building to feel individualized. 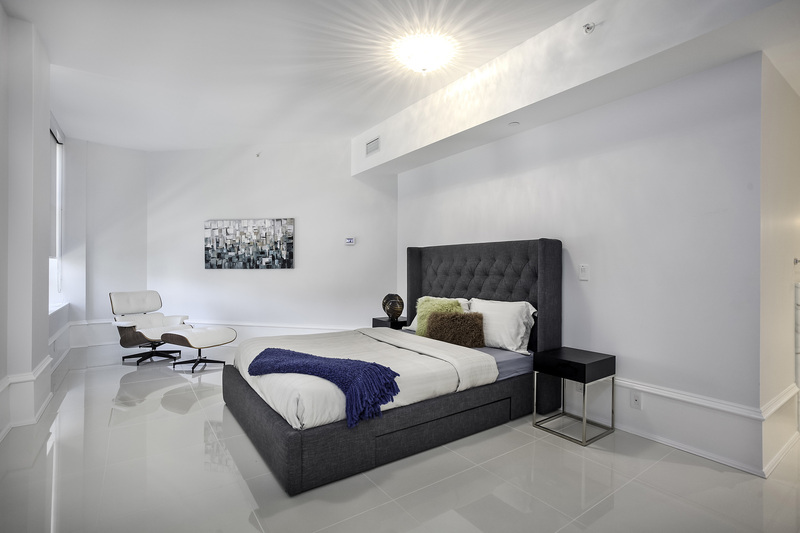 The interiors of the residences are purely modern with white marble flooring, decorative lighting fixtures, high ceilings, and dramatic large windows. 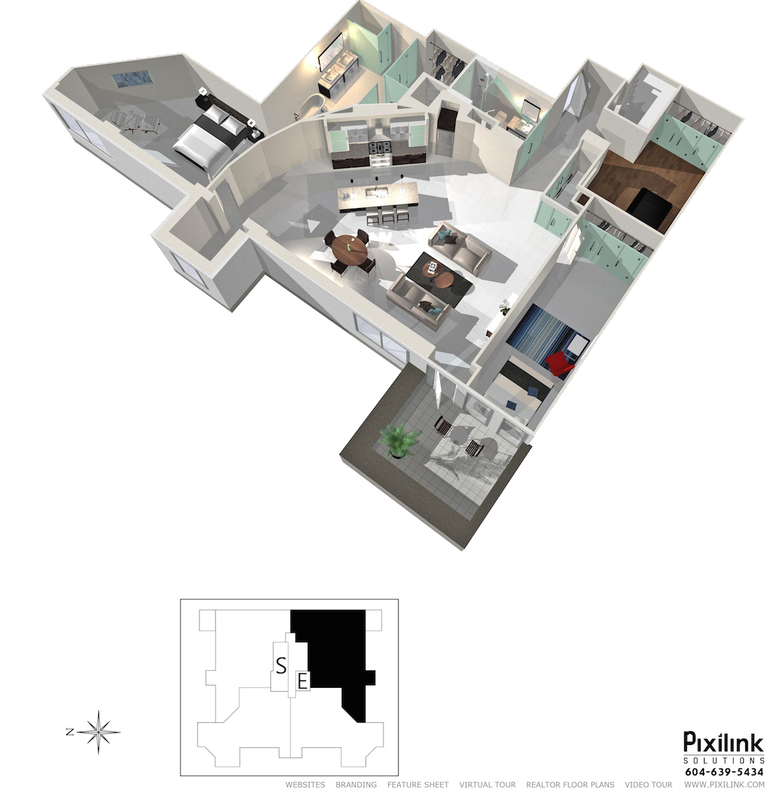 The interior layouts have one large curved feature wall through the entire floor plan. The master suite of suite #304 is fully open to the spa-like bathroom with a showcase tub, extensive use of full height glass, and beautiful touches of wood and granite stone. 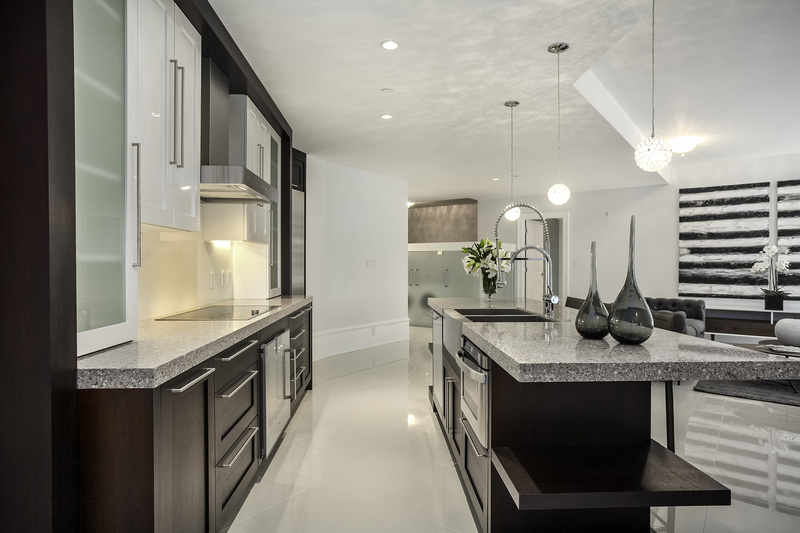 The kitchens are fully equipped for today’s best chef with Italian Gaggenau appliances, customized wood island, and a large slab of stone countertop. The building features top-notch technology with finger-print biometric security, full underground parkade, and geothermal heating and cooling. This particular suite occupies 1/4 of the 3rd floor, includes 3 side-by-side parking stalls, and an underground storage room which could be used as a wine cellar. This art pice of a home is offers tremendous value with 2053 sq.ft. for only $1,949,000. The developer of the building James Schouw, is known for creating developments which offer form, art, and design with inspiration from Gothic European structures incluidng the Grace and Iliad. There is a noteworthy luxury property we have listed this week that I feel is Decoist worthy. The architecture is very unique and there is a story behind the design. It is in one Vancouver’s most dramatic architectural boutique buildings. The 21 unit building was recently completed and named “Artemisia” after a 17th century Italian baroque painter. 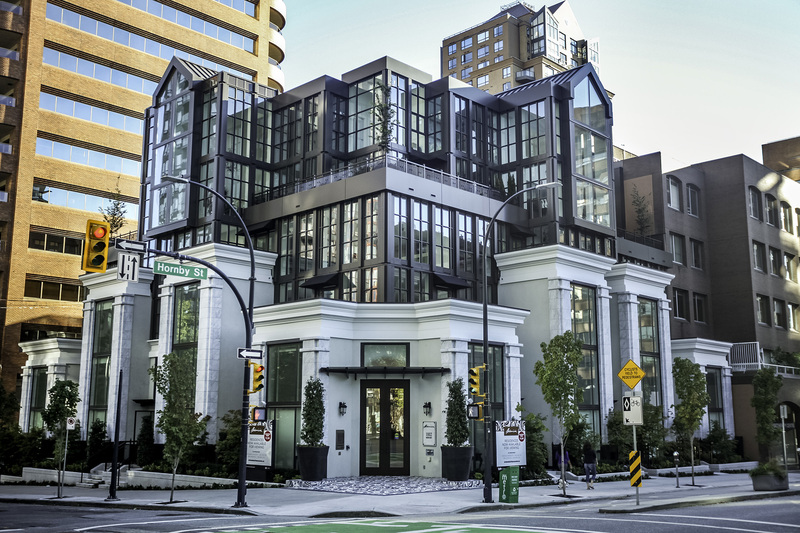 The developer of the building James Schouw, is known for creating developments which offer form, art, and design with inspiration from Gothic European structures. The building exterior features large facades of marble, double height windows, opulent mouldings, classical style multi-pane windows, and a dramatic black-and-white floral mosaic entrance floor out front of the lobby. From the lobby to the suites there is beautiful complication of curves, modernized gothic decorations, and tall doorways and mouldings to give a grandiose feeling throughout. Also with the use of curves and intricate design, each suite in the building feels individualized. On my recent trip to Europe I toured some Gaudi works in Barcelona including the Casa Batllo, and I could see the influence on this building upon my return. As you enter the building through the lobby towards the main hall, the walls are curved, and not symmetrical, and with high arched ceilings, leaving some mystery behind each corridor and door way. 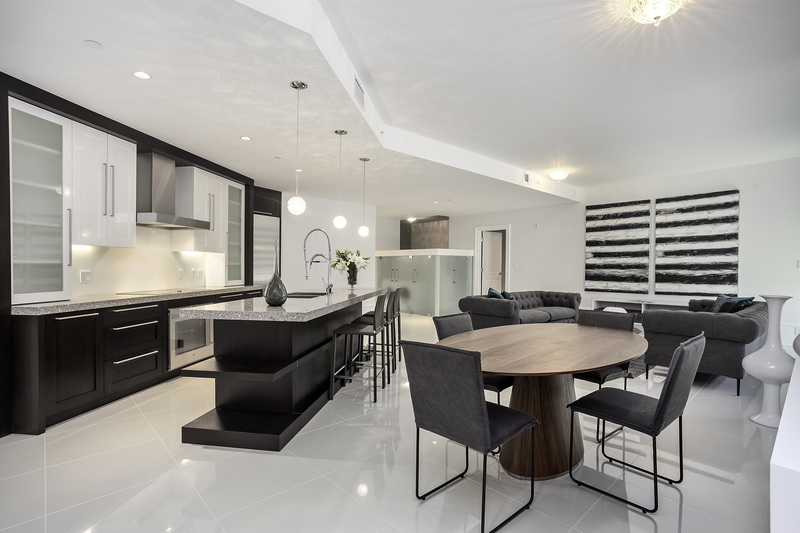 The interiors of the residences is purely modern with white marble flooring, decorative lighting fixtures, high ceilings, dramatic large windows, a one large curve drawn through the entire floor plan. 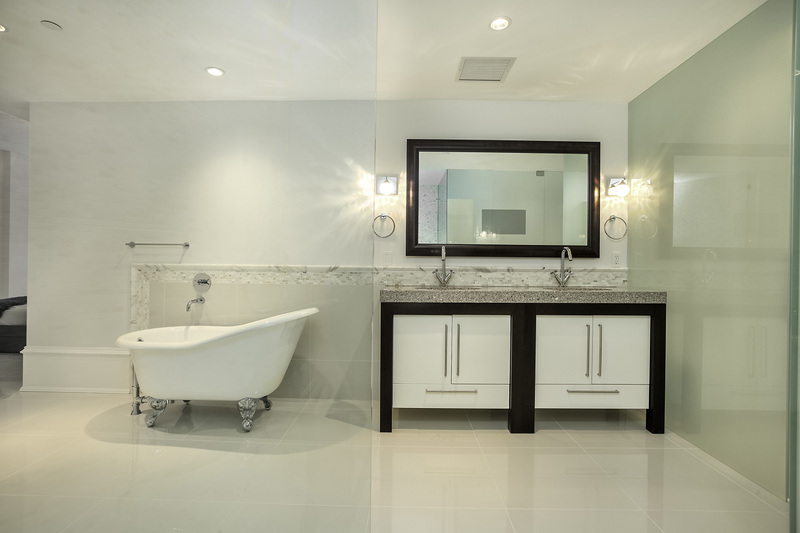 The master bathroom is fully open to the master spa-like bathroom with a showcase tub, extensive use of full height glass, and beautiful touches of wood and granite stone. The kitchens are fully equipped for today’s best chef with Sub-Zero fridges, Italian Gaggenau appliances, customized wood islands, and large slabs of stone. The building features top-notch technology with finger-print biometric security, a full underground parkade, and geothermal heating and cooling. This particular suite occupies 1/4 of the 3rd floor, includes 3 side-by-side parking stalls, and an underground storage room which could be used as a wine cellar. This art pice of a home is offers tremendous value with 2053 sq.ft. for only $1,949,000.